Whilst it is accepted that there will be relatively few estates which will incur the maximum application fee of £6,000.00, with property prices as they are it is very easy to see that a great many estates will incur increased fees of at least £750.00 and possibly £2,500.00. The reasoning behind the fee increase is to provide further funds for the Court Service but given that the Probate Court will not be involved in any more work under the new fee regime than it is now it is difficult to see how the increase in fees can be justified unless it is simply a “stealth tax” to further penalise the estates of the more well off. In addition there are likely to be a number of other unintended consequences arising from the proposed fee increase which will not work to the public’s advantage. Clearly where a Grant is required estates will have to find more funds before being able to obtain the Grant which may not be readily available and generally the increase in fees is likely to discourage applications for Grants unless absolutely necessary. Already we are seeing a number of financial institutions paying out significant sums of money without requiring a Grant of Representation and without the authority conferred by a Grant there is a distinct possibility that funds may end up in the hands of those who are not entitled to them thereby disadvantaging both executors and beneficiaries who ought to receive them. Furthermore, individuals before they die may be encouraged to undertake steps in relation to their assets to avoid needing to obtain a Grant when the time comes thereby falling prey to those who sell inappropriate and unnecessary schemes to protect assets. Or they may simply make arrangements for their assets which are wholly unsuitable for their circumstances. In addition if steps are taken during someone’s lifetime to avoid the need for obtaining a Grant when they die this does not absolve those administering their estate from the responsibility of declaring and paying any tax that may be due on it. Currently a Grant of Representation can only be obtained when the appropriate taxes have been paid but one can easily imagine circumstances where there will be a significant loss to the Exchequer if a Grant is not required and there is no other trigger for ensuring that taxable estates discharge the tax that is due. All in all therefore the proposed increase in Probate fees is a thoroughly bad idea for a number of disparate and different reasons and yet despite this there seems to have been little publicity about the proposals which despite their nature as an additional tax may well come in under the radar without requiring primary legislation or a vote in Parliament. There are moves afoot to try and prevent the increase coming in without a proper vote and we would urge you therefore to contact your M.P. or to sign up to the online petition at https://petition.parliament.uk/petitions/232192 objecting to the fees increase so that the increase and its potential consequences are properly debated and voted on. Likewise there is little time with the proposed fee increases possibly taking effect from the 1st April and therefore we would urge you to act quickly to make your voice heard. 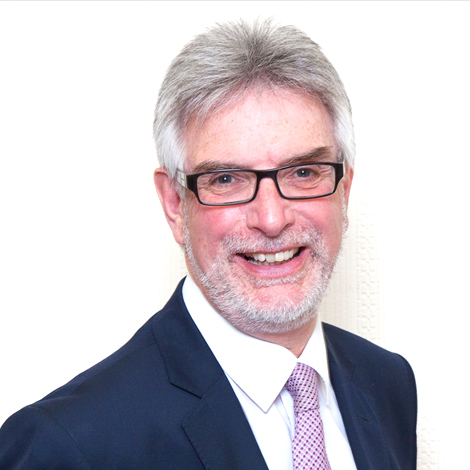 Ian Merryweather has over 35 years’ experience in probate, trusts and older client work. He is a member of the Solicitors for the Elderly organisation and the Society of Trust and Estate Practitioners.